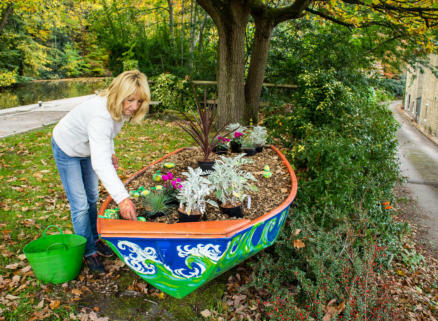 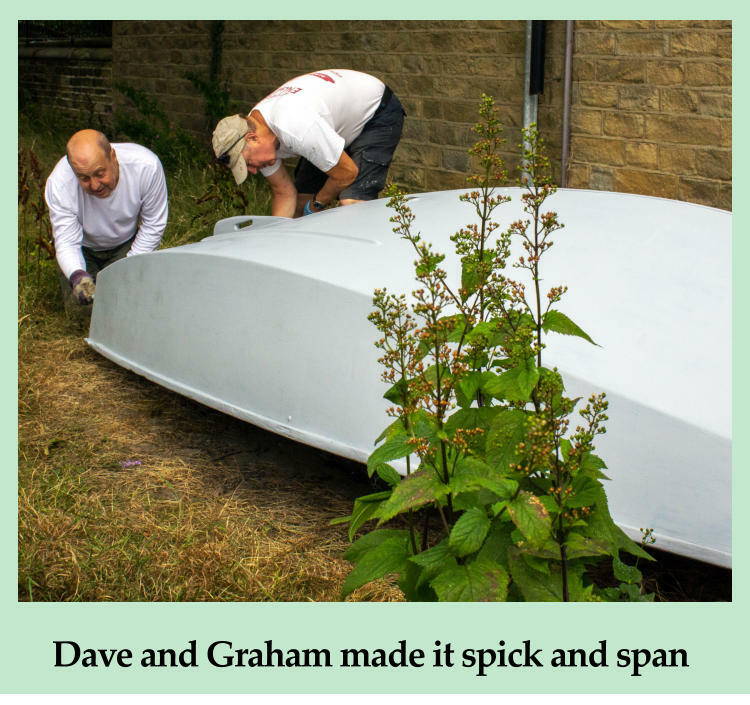 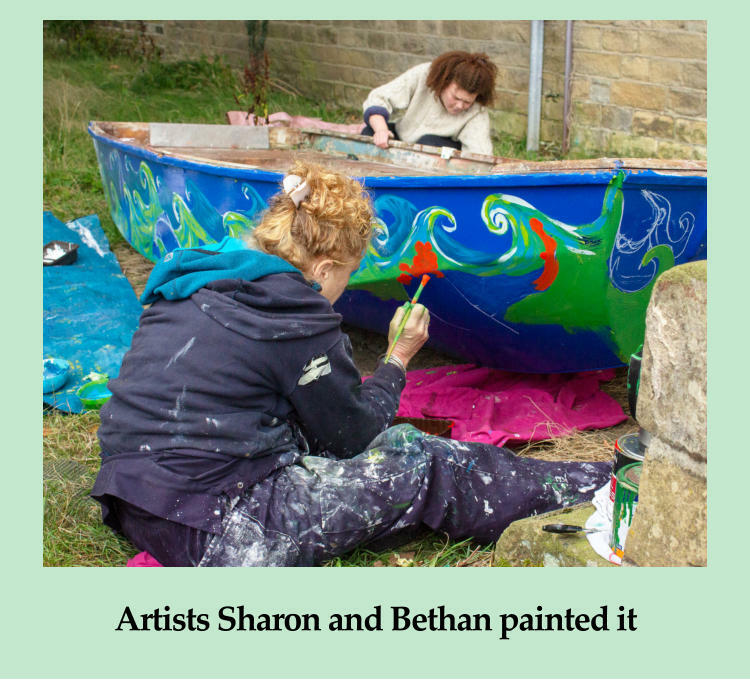 When we saw this picture of Lu planting a beautifully decorated boat at Hirst Lock, it set us wondering about the boat’s story. 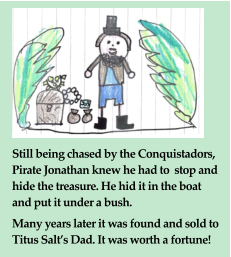 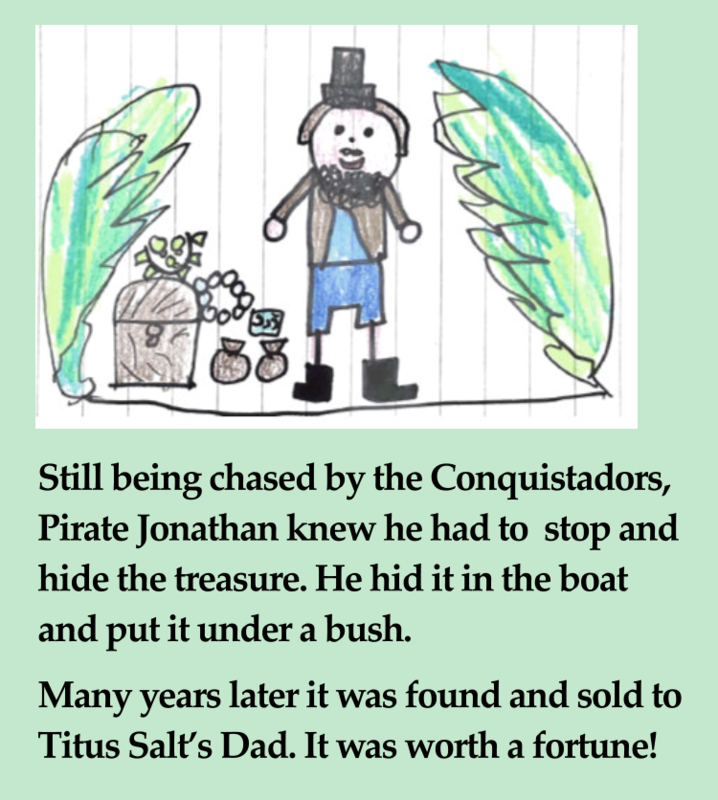 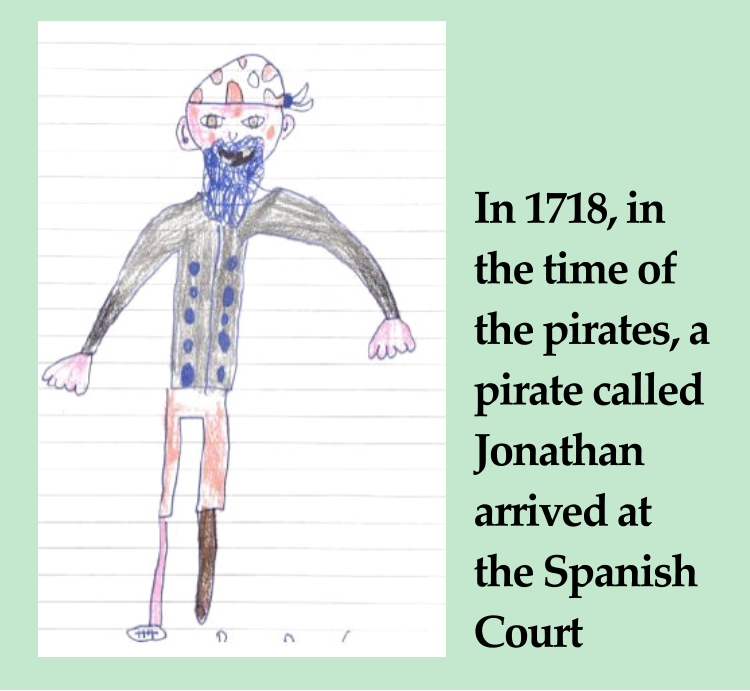 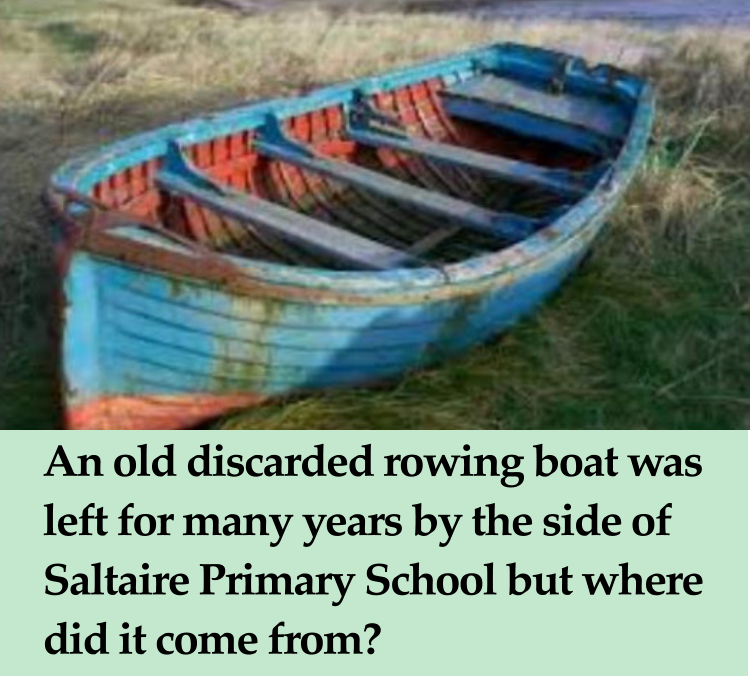 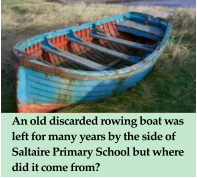 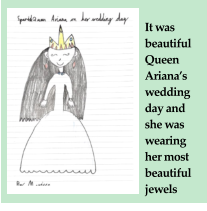 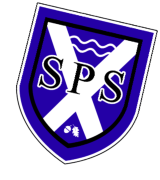 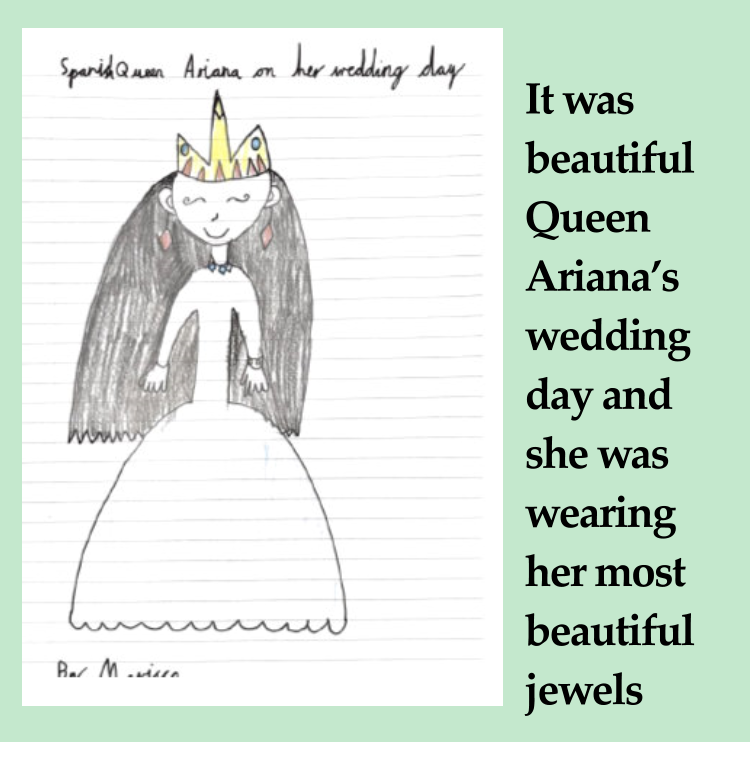 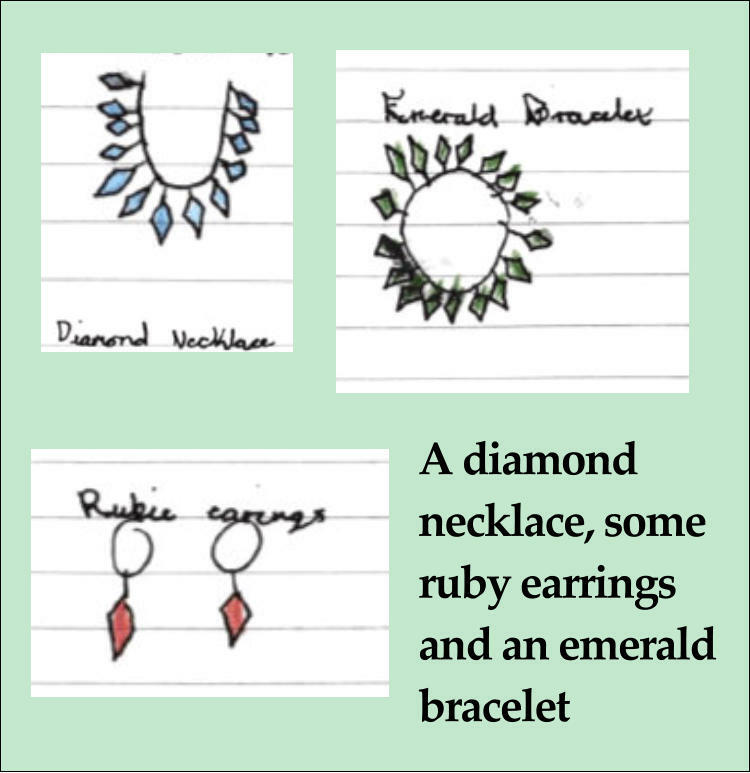 We heard it was something to do with our friends at Saltaire Primary School so we asked Year Four to see what they could find out. 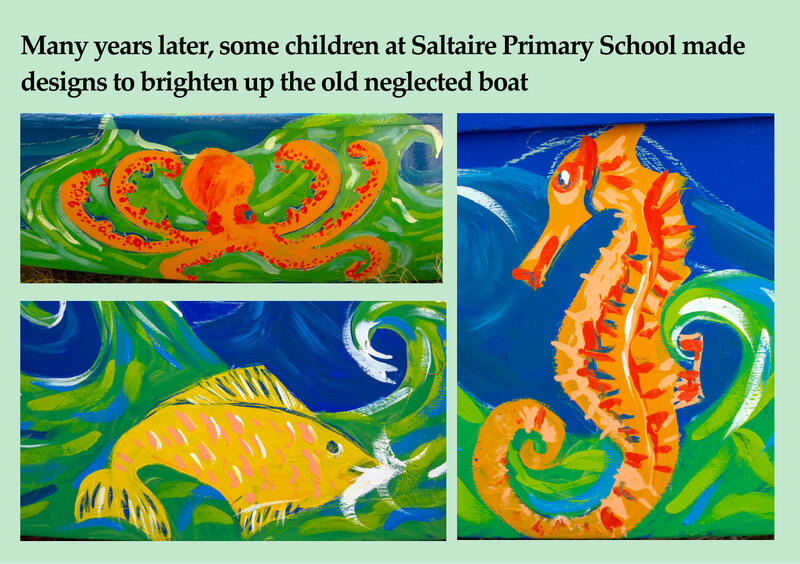 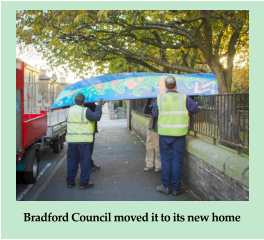 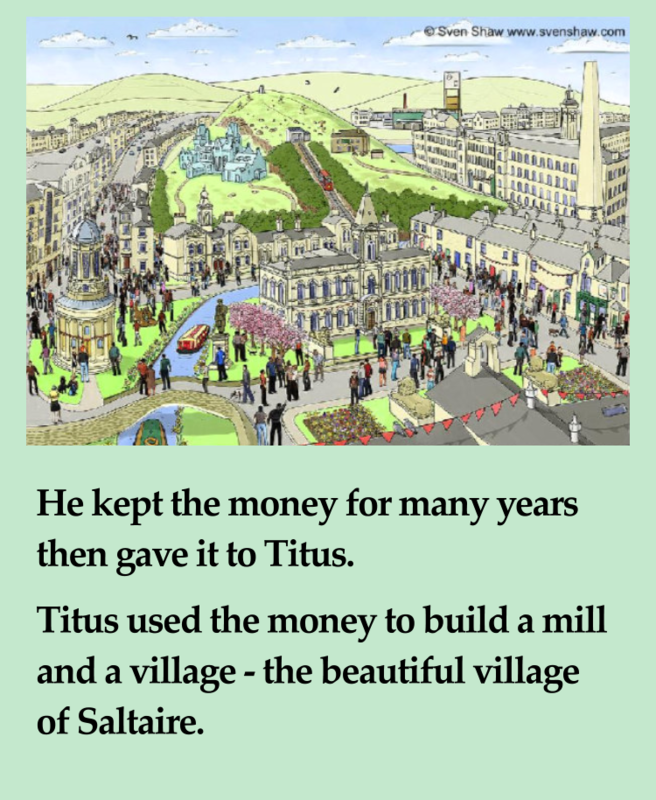 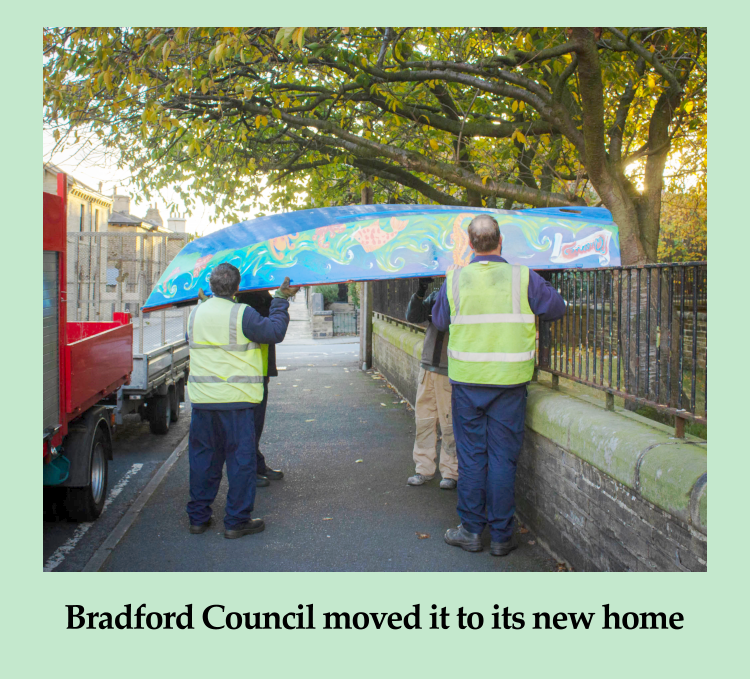 Thanks to everyone who helped, especially Parks and Landscapes Dept, Manor Paints, Dave and Graham, Sharon and Bethan, Lu, and the pupils and staff at Saltaire Primary School whose inspiration and talent started it all.